The Oittm Essential Oils Diffuser is something that doesn't take up much space and can give your caravan a nice clean fragrance inside. 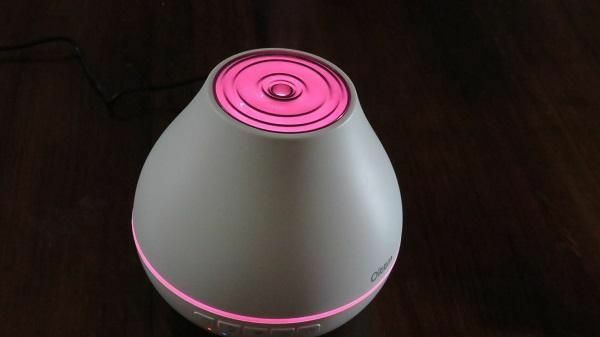 You can use this diffuser with many different essential oils, and it only takes four or five drops to spread a pleasant odour throughout your house or caravan. Oittm have quite a nice Of cause it also has manual controls, with an on off switch, light on or off, mist on or off and a 1-2-3 hour timer. Having an inbuilt WiFi system is really quite convenient, as it allows you to set the led's colour to your personal taste, and you can also set an inbuilt timer. Note: The Ultrasonic Mist system that has Waterless Auto Shut-off as a standard feature. 1 Fill up the water reservoir with 200ml of pure water. 2. Add 4 of five drops of essential oil of your choosing. P.S. It is recommended that you clean your Aromatherapy Diffuser once a week with a mild detergent.